Are you an existing Verizon customer looking to change or upgrade a subscription plan? 2018 is about to end and the coming year is filled with great opportunities from the mobile carrier. Make the most out of your new subscription by taking advantage of current and upcoming promotions. These offers are more than just add-ons to upgrade your existing plan. There are other promos that even allow you to acquire gadgets which is a nice way to ring in the new year. You can get a new Android phone, discounts, and, of course, extra features to fit your growing lifestyle of skills and talents. Why continue with Verizon Wireless? Verizon is known throughout the nation as one of the leading mobile service carriers to provide excellent services to their customers. The company even boasts some of the largest coverage for new and existing customers located in the United States. Promotions come and go but this mobile carrier lets their customers take advantage of numerous advantages at any given time. Read on to know more about the promotions you can enjoy right now and by the start of 2019. If you’re a fan of listening to music and you’re also an existing Verizon Wireless customer, then you’re in luck! Head on to the Verizon website or the nearest Verizon Wireless store to take advantage of reducing $50 off of your next JBL product purchase. The $50 coupon is available when purchasing the JBL Link 10, Link 20, and Link 300. Remember that you can only take advantage of this offer when you head on to the mobile carrier’s website or to one of the company’s physical location. What’s good about getting one of these Bluetooth speakers? In a word – plenty; these wireless speakers are great for wire-free audio and music listening. Furthermore, all of these devices are voice-activated. Its users can easily set them up within minutes without having to deal with complicated instructions or setup procedures. For instance, the JBL Link 10 grants users a better way to listen than trying to experience audio from their smartphones. It links (no pun intended) to either a 2.4GHz or 5GHz Wi-Fi band for a fast, robust, and stable connection. If you already have other JBL Link speakers in your home, then you can let them communicate with each other (so to speak) so you can play music across the different areas around your property. Use the built-in Chromecast feature to quickly and seamlessly pair the different devices together. Lastly, all the JBL Link speakers offered by Verizon’s discount promotion are waterproof. With that in mind, you can bring them right next to the pool or beach, or perhaps even inside your shower if you desire. The entire shell of these devices is also highly durable to protect them from the occasional drops and bumps. Even though the mobile tablet sector is losing fame over the ever-rising popularity of smartphones, it doesn’t mean all people don’t like using them. Take for example the Galaxy Tab S3 from Samsung which is one of the highlight products of the Korean tech firm for quite some time. Normally priced at $599 on a 2-year contract, head to your nearest Verizon location or access the mobile carrier’s website to slash $150 off the purchase of this mobile tablet whenever you buy an Android phone from them. Even though it brings the price down to $449, it’s still not that cheap. Nevertheless, many people (which might include you) won’t hesitate to take advantage of this $150 discount. To start, it presents a range of multitasking features for people who are always on-the-go. The device also includes the S Pen to manage, manipulate, and doodle on the tablet’s screen. Let’s not forget about the stylish hardware that you can flaunt wherever you go. Albeit optional, there’s also a comfortable keyboard peripheral if you don’t like typing on the onscreen keyboard. The software comes with Android 7.0 Nougat right off the bat but it will prompt for a software update during the first time you power it on. Inside, there’s the Snapdragon 920 Quad Core processor clocked in at 2.15GHz to handle the processing of multiple tasks. Download and install a multitude of apps with its 32GB internal storage (expandable with the use of a microSD card). Enjoy a lag-free experience when using different apps at once with the help of 4GB of RAM. Shutterbugs aren’t left behind as Samsung even thought about them during the development of this mobile tablet. Take pictures of groups and landscapes with the 13MP rear snapper or perhaps strike a pose with the 5MP selfie camera up front. Keep in mind that the front-facing camera doesn’t have an LED flash like the camera at the rear. Watch movies, play games, or scroll down your social media news feeds for hours with its 6,000mAh battery. Speaking of its battery, this tablet is also capable of fast charging. Don’t worry about being bored any time soon as you only need to wait about an hour to get a decently sized recharge to the battery with the use of a fast charger. Overall, the Samsung Galaxy Tab S3 is a fantastic package to get. Slashing off $150 off of its price tag is a deal many wouldn’t want to miss. If you’re not much of a Samsung Galaxy fan, then perhaps an Asus ZenPad will pique your interests. Even though the look of the ZenPad 10 isn’t as premium-looking as the Tab S3, it does offer many features that will entice many interested Verizon customers. See your nearest Verizon Wireless dealer or head on to the company’s website to take advantage of buying this Asus tablet for just $11.66 per month for the next 24 months if you’re an existing Verizon customer. On the other hand, new clients can pick this tablet up for $179.99 instead of the standard retail price of $329.99. Watching on television presents viewers with rich colors, punchy contrasts, and life-like images. Asus delivered those experiences with the ZenPad 10. Users can enjoy the VisualMaster technology which the company usually reserves for larger and higher-end screens. Visual enjoyment is always on-the-go with up to 2K resolution on an IPS display. Viewing angles all around the screen are excellent as harsh sunlight won’t bog down on what would otherwise be an excellent media-playing experience. Let’s not forget about the audio coming from this device. The ZenPad 10 presents users with a dual stereo setup unlike the mono audio of most smartphones on the market. Play your favorite tracks or watch movies to hear the sounds as if the band members or celebrities are right there beside you. Connect your surround-sound compatible headphones and immerse yourself right in on the action. To keep all the processing power of the device as smooth as possible, Asus equipped the ZenPad 10 with a Hexa-Core processor. With its CPU, users can surf the web, enjoy smooth video playback, and play games all day long with better performing power than most standard smartphones on the market. Take advantage of the quick charge system to ensure the device always has enough battery life to bring it on trips. Speaking of battery life, the Asus ZenPad 10 touts one of the better batteries you can find out there. Casual users can enjoy up to 56 days of standby time whereas power users can play their favorite media and games for up to 20 hours before the device needs a recharge. Other features found on the ZenPad 10 include an 8MP rear camera, a sleek unibody design, and the PixelMaster technology to increase photo brightness of taken pictures. What’s better than having one flagship smartphone? How about two? 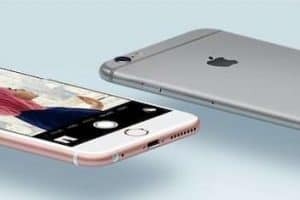 However, it usually means buying two premium mobile devices which means you might have to pay more than an arm and a leg to buy both units. Verizon Wireless heard the cries of many who want two top-of-the-line handsets in one go without putting a large hole in their wallets. Verizon lets customers buy one flagship phone and one more absolutely free (or with a large discount). There are no trade-in requirements required either. The phones available for purchase with this promotion are the Samsung Galaxy S9/S9+, Galaxy Note 8, Google Pixel 2/2 XL, LG G7 ThinQ, and more. Is there a catch to getting this amazing deal? 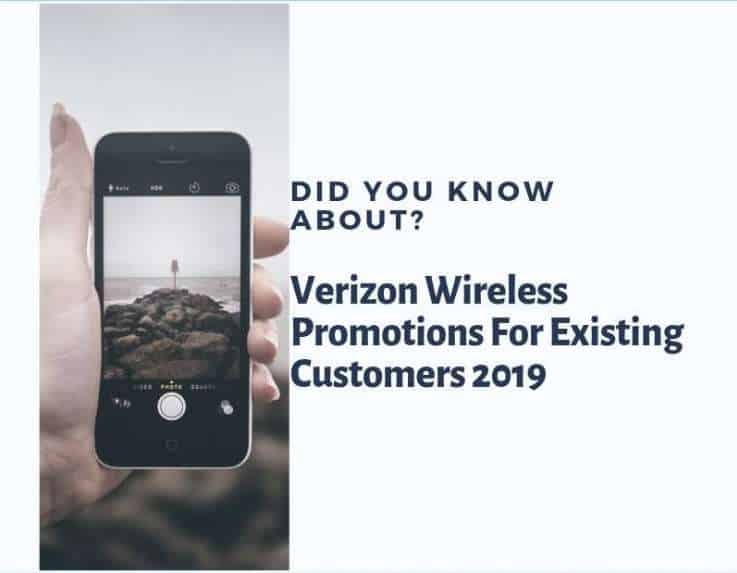 Well, even if you’re already a proud subscriber to a Verizon Wireless plan, you have to add another line of service to be eligible in taking advantage of this promotion. Let’s look at some of these phones in greater detail to help you choose which device to get. Google is known as a prime tech and search engine company who entered the smartphone market with a bang. The original Pixel phones were fun to use with their future-proof design and amazing set of features. With the successors to the Pixel phones, aptly named Pixel 2 and 2 XL, these new devices continue to shake up the mobile sector like an earthquake. Despite their different sizes, the Pixel 2 and 2 XL have similar features to offer to users. However, one glaring difference is that the Pixel 2 is made by HTC while the 2 XL comes from LG. 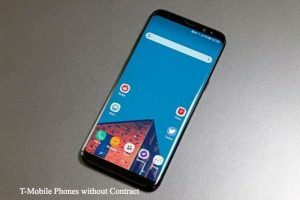 Despite their different manufacturers, both phones have an AMOLED display to do away with washed out colors seen from most low-end smartphones and some mid-tier mobile devices. Take a look at the specs and both phones sport the Qualcomm Snapdragon 835 mated to 4GB of RAM. One of the major differences between these two devices is the Pixel 2 comes with internal storage of 64GB while it’s larger sibling has 128GB as a storage capacity standard. Both phones out a single rear snapper sporting 12 megapixels. This time around, Google equipped the cameras on their smartphones with optical image stabilization (OIS) technologies. In other words, even if you have shaky hands or if you’re trying to shoot images in very low light conditions, photos will come out sharp at a large majority of the time. These two phones are now waterproof but Google decided to do away with the standard 3.5mm headphone jack. They’re also not capable of wireless charging but both the Pixel 2 and 2 XL come with an embedded eSIM to send and receive texts and calls even without a SIM card. 2018 is almost over but it doesn’t mean that you shouldn’t partake upon the beauty brought by the pair of smartphones known as the Samsung Galaxy S9 and S9+. Many people in the smartphone industry even claim that these units are the year’s best-looking phones. It’s the company’s first attempt at a gradient shell and their efforts to bring that dream to life were not in vain. Users of these two phones aren’t just going to treat their eyes just with the gradient shell alone. Enjoy all the big and little details in each photo taken with its camera. The rear snapper boasts 12 megapixels and the same camera equipment is found in both of Samsung’s flagship smartphones. However, herein lies the end of the similarities in the camera department. Both the S9 and S9+ have adjustable apertures for their camera lenses but the larger model gets a second 12MP sensor. With the additional element, phone photography enthusiasts are now able to zoom into their subjects without having to walk closer or sacrifice quality by using digital zoom. Looking at the specs of the S9+, it comes with two more gigabytes of RAM as compared to its predecessor unit which is the S8+. There’s also a fingerprint sensor for both Samsung S9 devices but with a new location. Users can now scan their fingerprints in an easy-to-reach location at the back of the phones. Perhaps the best feature of the S9+ is its massive built-in storage. While many smartphones on the market only have a maximum of 128GB of internal storage, Samsung’s large flagship phone can let users take advantage of a massively maximum 1TB of storage capacity right off the bat. If that’s not enough for you, then you can still expand that storage further with the help of a microSD card. Do you “ThinQ” you have what it takes to handle the LG G7? Let’s disregard the bad puns for now and look at LG’s flagship smartphone. While the G6 reinvented the brand back to the mobile device industry, the G7 presents some exciting updates to its predecessor along with a few extra tricks up its sleeve. First, let’s look at the specs. To start, it comes with the Android 8.0 Oreo Android operating system right off the bat. The 6.1-inch LCD screen comes with a maximum resolution of 3,120 x 1,440 pixels and it’s covered by a durable Gorilla Glass 5. The entire software is backed with the Qualcomm Snapdragon 845 processor which is more than enough to handle multiple opened apps at once. While the internal storage isn’t as impressive as the Samsung Galaxy S9+, the G7 ThinQ does boast a formidable 64GB (128GB on the Plus model) for its internal storage capacity. However, users can expand that memory further up to 2TB of additional storage with the use of a microSD card. Take a look at the main rear camera and you’ll use it to capture sharp images with two 16 megapixel snappers. Low light performance is great thanks to its f/1.6 aperture with OIS. At the front of the device, there’s one selfie snapper in which you can take pictures of yourself at 8 megapixels. The front-facing camera also has a commendable low light performance thanks to its f/1.9 aperture. Perhaps one of the best features found in the LG G7 is its audio performance. Audiophiles can take advantage of a Boombox speaker able to play 32-bit Hi-Fi audio with a Quad DAC. High-resolution audio files never sounded so good when you turn on this device’s speakers. It would be better if it had a USB-C connection for headphones but it still uses the standard 3.5mm headphone jack. Nonetheless, it does mean that the mobile device still promotes compatibility with a broad range of headphones out on the market. Samsung was in a bit of a pickle after the crisis of their previous phablet which was the Galaxy Note 7. Concerns over exploding battery packs shook the world to the point that even airlines banned the use of the mobile device. However, the Samsung Galaxy Note 8 now presents balanced top-end features and it even solved the battery temperature problem. The Galaxy Note 8 isn’t just powerful but it’s also big. In fact, it’s the largest Note phone to date. Saying that it’s a big phone might even be an understatement. Not only is it tall but it’s also skinny to make the phone comfortable to use despite requiring two hands to properly operate the device all the time. The Note 8 is even noticeably taller than other large phones on the market namely the Note 5, LG V30, and even the iPhone 8 Plus. Even though it does have a large size, many of its features are highly similar to one of its siblings – the Samsung Galaxy S8+. For instance, the Note 8 is just 0.1-inch larger than the S8+, and the former has a slightly brighter screen than the latter. It’s, however, questioned why the South Korean tech firm decided to put a smaller battery on the Note 8. For comparison’s sake, the new Note phone (or phablet) has a 3,330mAh battery whereas the S8+ has a 3,500mAh pack. Gadgets aren’t the only offerings found in Verizon’s roster of promotions for the coming year. If you’re an existing customer and want to change your subscription plan, then you may do so. However, ensure that you’re account is no longer on lockup to change or upgrade your existing plan. For the Small plan, users are entitled to use up to 2GB of data usage per month and require a monthly payment of $35 for the subscription fee. As for the Medium plan, customers can use up to 4GB of data found at $50 per month. Next is the simple-named 5 plan which lets you use up to 5GB of unlimited 4G LTE speeds for $55 per month. Next, there’s the Large plan that allows users to surf the Internet for up to 8GB of data per month with a monthly subscription fee of $70. The Go Unlimited, Beyond Unlimited, and Above Unlimited plans all have no data caps and they require $75, $85, and $95 fees respectively. The differences among these three Unlimited subscription plans are the add-ons included in the package. The Go, Beyond, and Above Unlimited plans are dedicated to heavy data users. 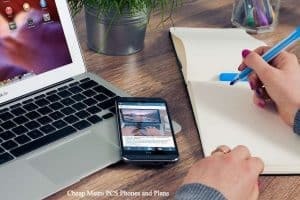 These subscription plans may not be for everyone thanks to their expensive price tags, but it’s great to surf the Internet practically anywhere without worry of maxing out data usage limits. So Which are the Best Verizon Wireless Promotions for Existing Customers? It depends on your preference. If you’re up for getting a new gadget when you renew or change your subscription plan, then you can get either a phone, tablet, or even a wireless speaker. Otherwise, you can change the settings of your plan to fit your changing lifestyle. For more information, it’s best to contact Verizon Wireless by heading to their website. You can also head to a nearby physical location of the mobile carrier in your area.